I'm not a fan of long lists of excuses for why I haven't been posting regularly. Any excuse I might offer, although a valid and true circumstance, isn't the fault or reason. If circumstances kept me from succeeding I would have never lost 275 pounds in the first place. Often, the circumstances become convenient places to rest the responsibility I have to take good care of myself. I detach these circumstances from me and they become a place where I can point and say "See, it's not my fault." I'm too much of a realist to accept this victim minded thought pattern. Self-honesty about my food addiction and emotional/compulsive eating makes it very difficult to feed myself anything other than the real truth. I've obviously struggled recently but not in the same way as before. It's been a long time since a "run and hide" binge around here. That's good, sure, but there hasn't been dramatic movement in a positive direction either. My personal struggles involve faith in myself and my abilities to effectively succeed in the way I envision. When this introspective examination weighs heavy, it suppresses my enthusiasm for good eating and exercise choices. And that's where we have a serious issue. Realizing my dreams sit atop a foundation secured by my commitment to take care of my body, mind and soul, I've decided backing away and examining what I truly want in life is paramount at this time. Peace. Inner-peace. I want to be out of debt. I want to better appreciate the love and family I already have. 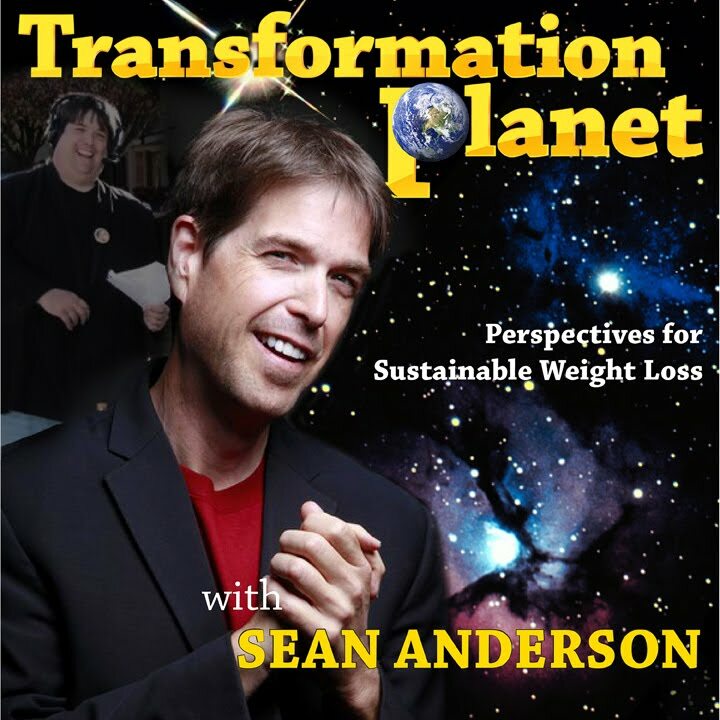 I want to help people better understand their unique path to freedom from obesity. I want to explore my passion, my mission, my dreams and I want to get in the best shape of my life while doing it all. I've spent my life struggling to succeed while at the same time displaying enormous potential to excel at whatever I choose. It started in grade school when a teacher told my mom "Sean has the potential to be a straight A student if he chooses to apply himself." This "potential" theme has permeated through everything I've ever set out to accomplish. It was found in my stand-up comedy, in broadcasting and now in my public speaking. There are two angles here: If I'm constantly reaching for some future "success" to finally "put me together," then I'm missing an opportunity to be content and happy in the success of here and now. It doesn't mean I settle. It means I allow myself to be happy today. And my happiness flows from my actions. And the actions lead to accomplishment naturally; organically. This is far better than sitting around trying to reason for or against myself. So, enough of this introspective examination stuff. A good friend recently shared this thought with me: Enlightenment and faith comes after action, never before. 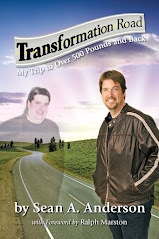 I didn't know how I was going to lose 275 pounds before I took that first step, but I took action and along the way I became full of faith and enlightenment about my weight loss. Any doubts I had going in were quickly negated by the fruits of my positive actions/choices. The secret to my success isn't as complicated as I make it. It requires me to choose to be happy today while doing the actions supporting my happiness tomorrow. In other words, I just need to chill out and move along. I must work the proven steps of recovery, walk straight, smile and embrace the fundamentals that have brought me to this place in time. I'll save the promises for regular postings here and I'll make the most important promise to myself: I will take pride in my actions and choices from this point forward. The fruits of my promise will be strongly evident and real, instead of flimsy words and wishes. I've upped the ante on my accountability factor by joining MyFitnessPal and making my food and exercise diary public. I invite you to join me! My username is SeanAAnderson. Visit www.myfitnesspal.com to find me. There's so much more I'd like to write here--I could go deeper, but this is sufficient today. I'm okay today. I'm happy today.